This report explores the extent to which the European Semester is capturing and supporting Member States’ efforts to tackle homelessness in the context of the Europe 2020 strategy. It brings together the analysis FEANTSA has carried out throughout the 2014 Semester in order to draw conclusions about how various elements are orientating, monitoring and supporting Member States’ homelessness policies. The analysis focuses primarily on reporting and recommendations in the area of poverty and social inclusion, rather than broader macroeconomic and budgetary policy coordination. Nonetheless, the latter clearly have an important role in determining the context for the fight against homelessness. Drawing on input of FEANTSA’s members, the report compares social reporting and analysis within the Semester to the reality of evolutions in homelessness and homeless policies. 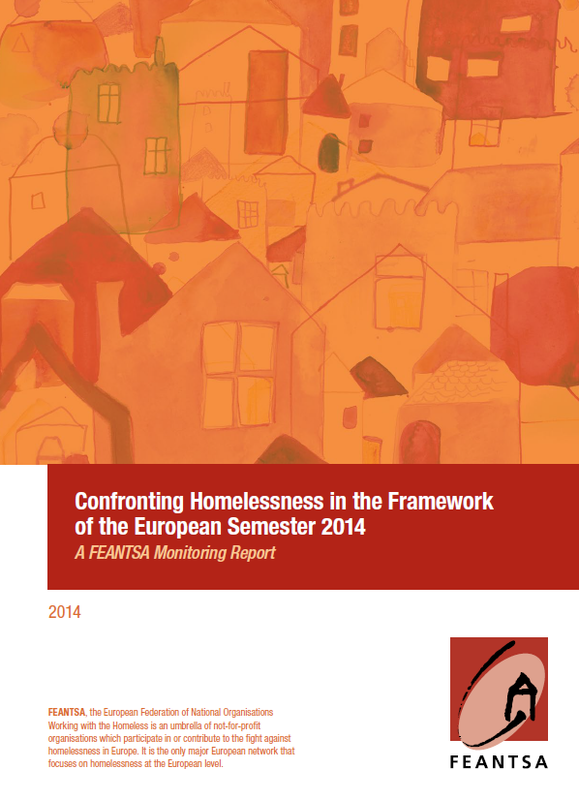 FEANTSA hopes that the report will influence the way social policymakers at EU-level and in Member States engage with the Semester and tackle homelessness as part of efforts to address poverty and in the context of broader structural reform agendas. ← Translations of the Semester Alliance Toolkit for Engaging in Europe 2020 and the European Semester are now available!